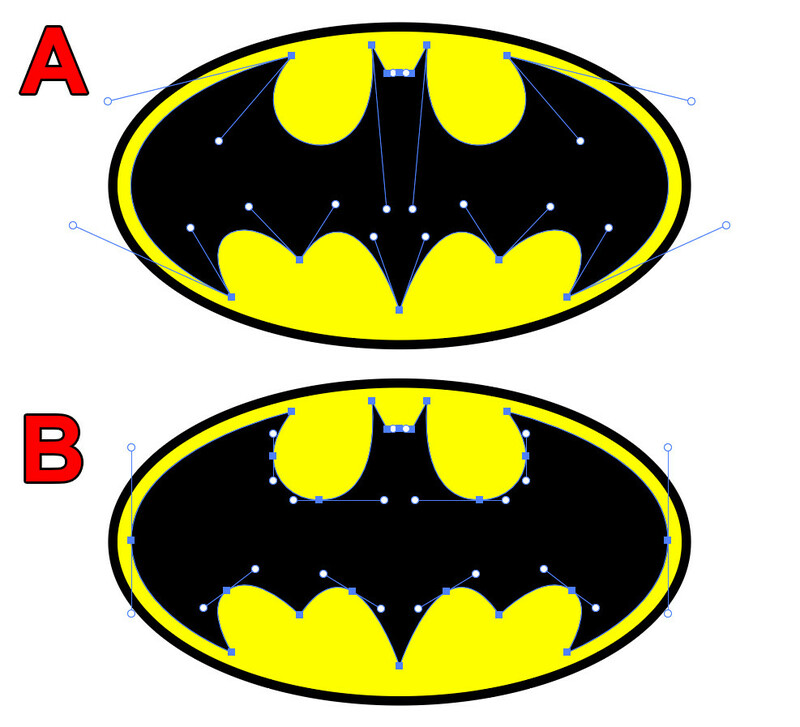 To create a shape like the one in the image below, which option would you use and why? As you can see option "A" only uses anchor points at the peaks and then uses broken handles to achieve the curve in between points. Option "B" also uses anchor points at each peak but with no handles, so an extra anchor point with handles is needed in the middle to achieve the curve. Personally I have found that option B is the faster technique even though it requires more anchor points. Option A requires a lot of finessing of the handles to get the curves just right. But which option would you use? You can do it any way you want. There are no graphic design police. Using as few anchors as possible is a little trickier, but more efficient in terms of file size. It's certainly a skill you should learn. However, it shouldn't make much difference really, especially when the design is fairly simple anyway. An additional 8 anchors is neither here nor there. Best not to obsess over this kind of thing. I've seen people spend far to much time trying to get a complex curve right with as few anchors as possible, when it would be easier to simply add another anchor in the middle for more control. Also note that using fewer anchors does matter much more in some specific areas, such as in font design, or in a complex design where having too many anchors would increase the file size of an SVG, etc. That's because he can work along an existing path and has a possiblity to feel proud after reducing unnecessary nodes which easily create unwanted bumps and twists. Not the answer you're looking for? Browse other questions tagged adobe-illustrator pen-tool or ask your own question. How do you use the pen tool in the most efficient way? 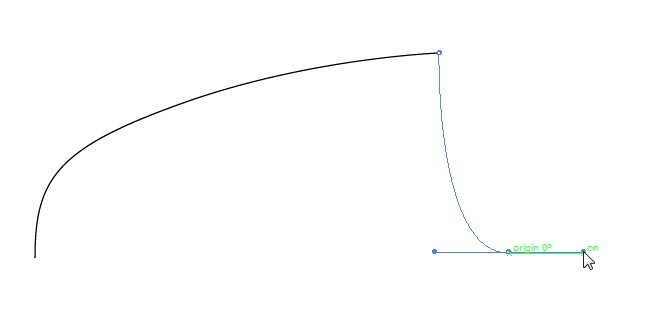 Is there any way to auto close the bezier tools when using the Pen tool for every new angle?